Nino Montagnese of Air Canada Vacations, Armando Mendonca of AMPM and Vienna Tourism and Simona Cercel, Air Canada. Culture. History. Shopping. And lip-smacking-good apple strudel. Air Canada Vacations and Vienna Tourism put on a breakfast in Toronto on Tuesday, playing up new Air Canada flights. Montagnese said agents or other customers who book trips with Air Canada Vacations more than 180 days can save $1,000 per couple. Other discounts are available for bookings closer to the date of departure, he said. 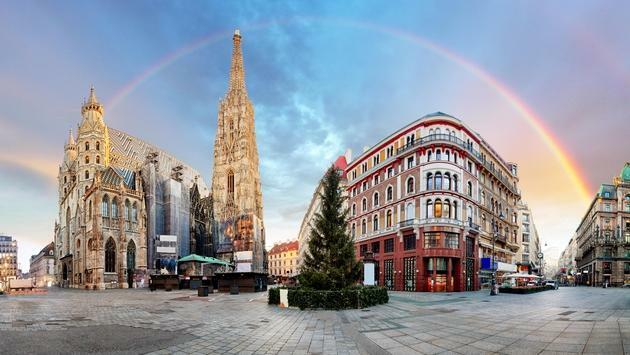 Air Canada Vacations also is partnering with Trafalgar and Insight Vacations, with Vienna only packages and also trips that include Vienna, Prague and Budapest; all classic European destinations. 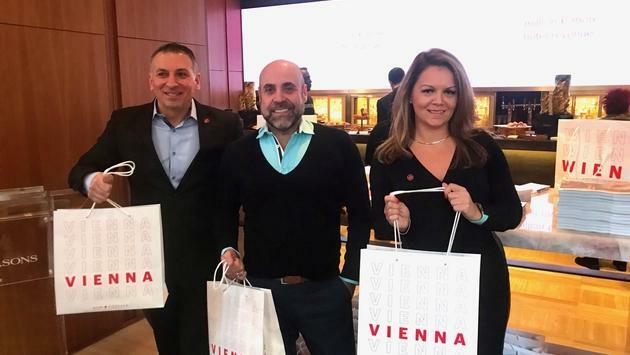 Armando Mendonca, president of AMPM, which represents Vienna Tourism, told a gathering at Toronto’s Four Seasons Hotel that air lift from Canada to Vienna is up 184 per cent this year. Vienna is a fabulous Air Canada Destination in Europe. Vienna has more than 800 parks and more than 100 museums. 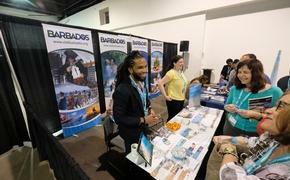 It’s also a big convention destination, making it attractive for corporate travel and MICE, he said. Mendonca said agents can sign up for the Vienna Experts Club and get exclusive information about the city and its offerings. Air Canada earlier this year announced the introduction of new year-round services between Toronto and Vienna starting April 29, 2019. The daily flights will operate with Air Canada's flagship aircraft, the Boeing 787-9 Dreamliner featuring Signature Class, Premium Economy and Economy cabins. During the winter season, from November until March, flights will operate five days a week. The service is offered in partnership with Star Alliance joint venture partner Austrian Airlines complementing their Montreal-Vienna flights also beginning in April 2019. Vienna will host Euro Pride next year, while 2020 will mark what would have been Beethoven’s 250th birthday.